Full Description: Charles Wheatstone's Patent no 10,041. 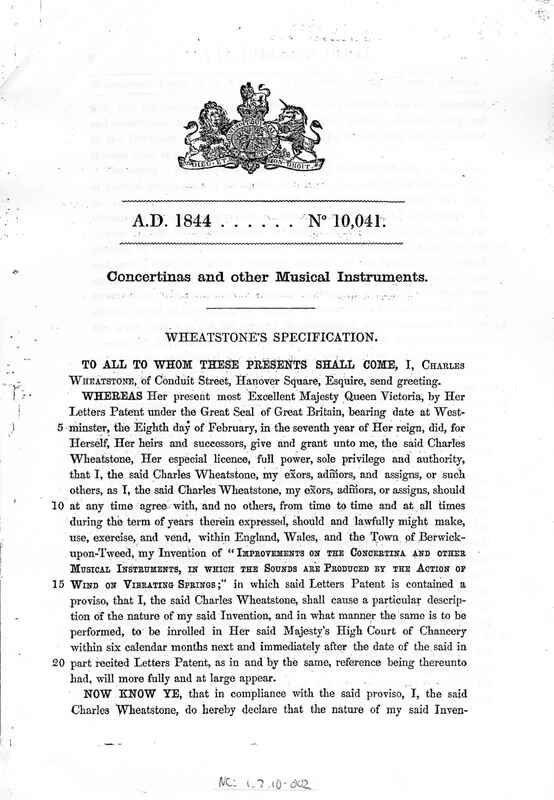 A further photocopy of Wheatstone Patent No 10,041 dated August 1844, No 5803, on “Improvements in Concertinas and other musical instruments”. There are nine historic concertina patents, including all the early Wheatstone English system patents, Maccann's Duet patent, Jones's Anglo patent, the Crane Duet patent, and Kaspar Wicki's patent.